- Appeared in England, late 1100's to St. Simon Stock. 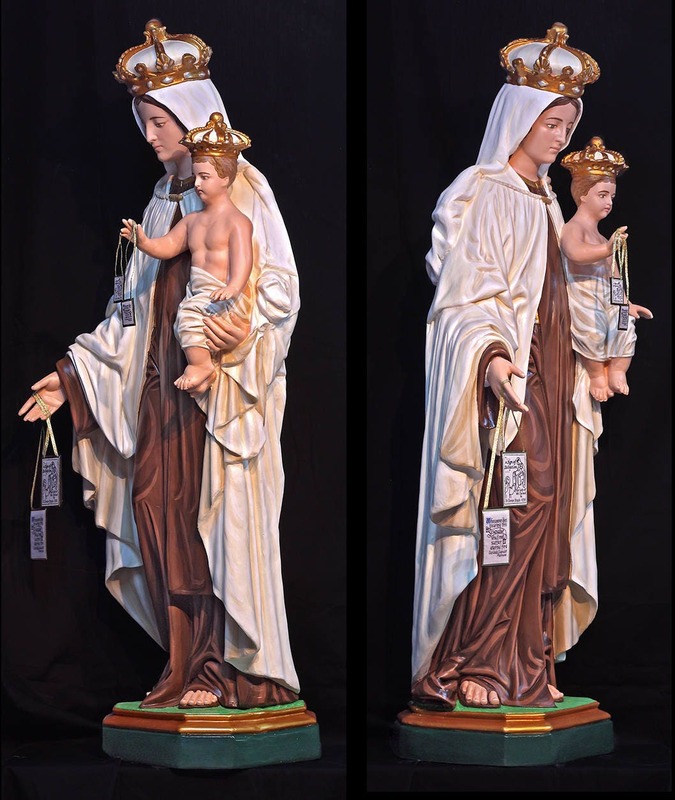 - Patroness of Carmelites and the Souls in Purgatory. 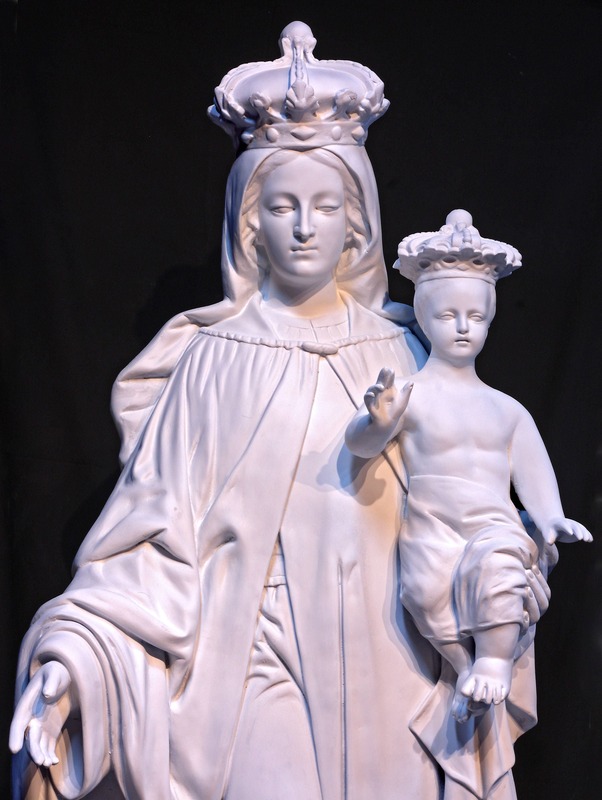 - Feast Day: July 16th. 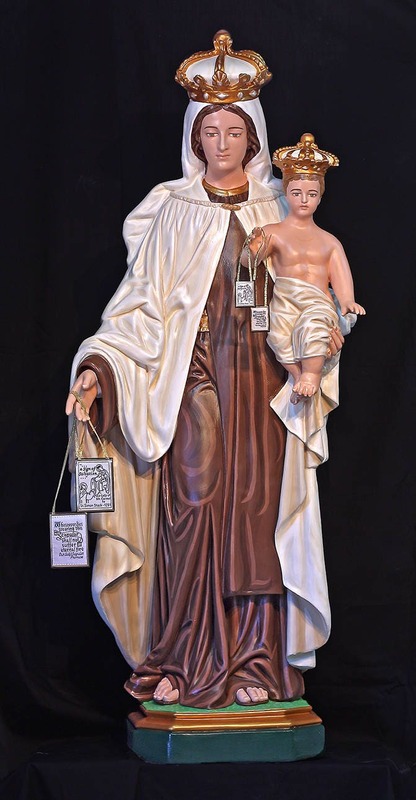 This 57" fiberglass splendid statue features Our Lady and the infant Jesus as they gave the brown scapular to St. Simon Stock. Each statue is made individually, not mass produced. Please allow 5-9 weeks for delivery, often sooner depending on orders in work shop at the time. 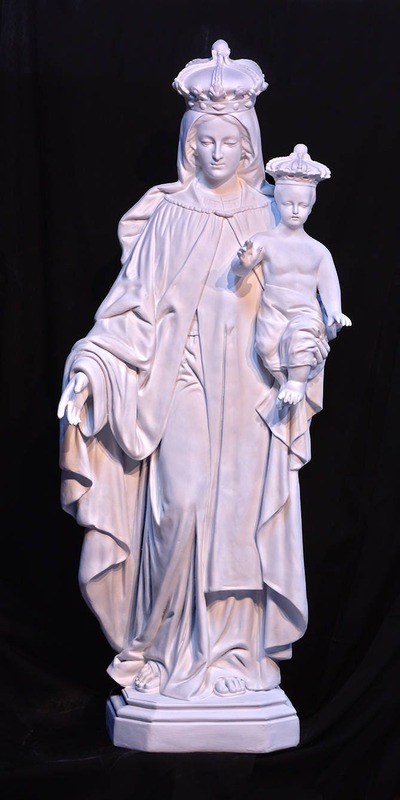 Due to the expense of shipping, we do not accept returns/exchanges unless the statue was damaged during the shipping process.